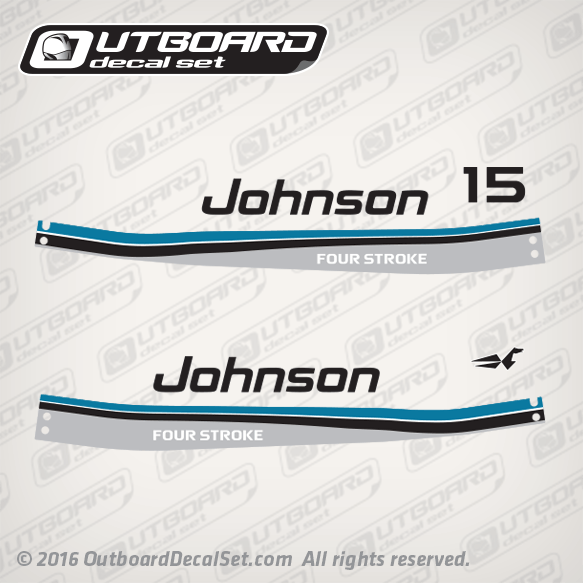 Johnson 15 hp Fourstoke flat-vinyl decal set for 1996, 1997 and 1998 Johnson Outboard engine covers. 1997 JOHNSON: BJ15FAEUA, BJ15FDLEUA, BJ15FKEUA, BJ15FRELUA, BJ15FREUA, BJ15FWEUR, BJ15FWLEUR, J15FKEUA, J15FRELEUA, J15FREUA, J15FRLEUA. 1998 JOHNSON: BJ15FDLECM, BJ15FWECA, BJ15FWLECA, J15FRECM, J15FRELECM, J15FRLECM. 1 - 0438371 ENGINE COVER ASSY. 1 - 0438372 ENGINE COVER ASSY. 1 - 0438640 ENGINE COVER ASSY. 1 - 0438641 ENGINE COVER ASSY. 1 - 0438642 ENGINE COVER ASSY. 1 - 0438837 ENGINE COVER ASSY. 1 - 0438838 ENGINE COVER ASSY. 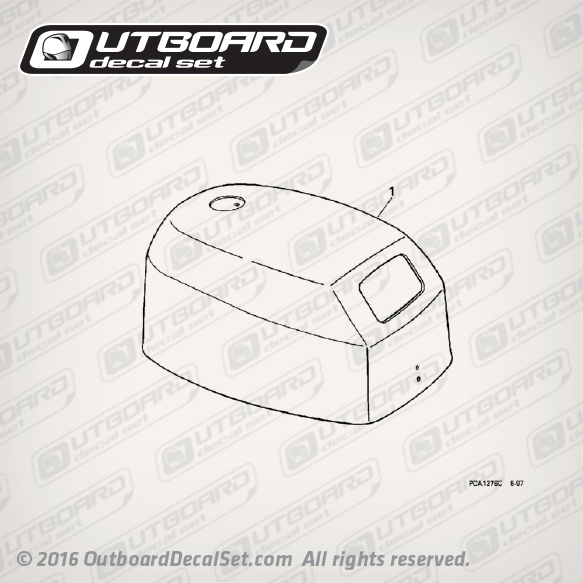 1 - 0438839 ENGINE COVER ASSY. 1 - 0438840 ENGINE COVER ASSY.